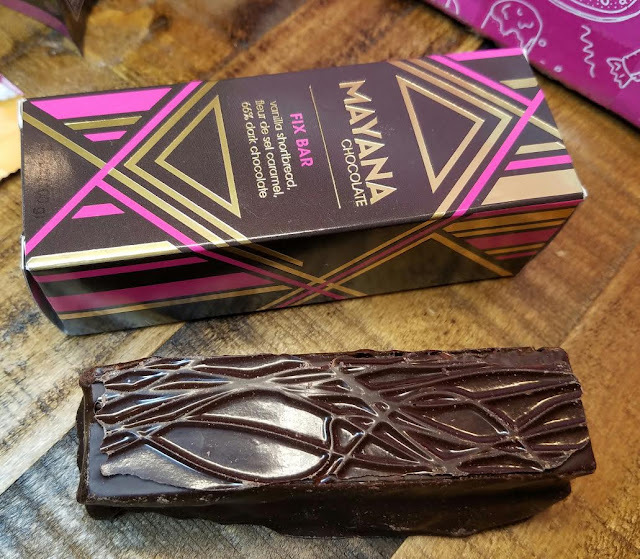 Mayana Fix Bar- This bar is SO good. I don't really like shortbread but the shortbread layer here is light and melts in your mouth. Over that is caramel with fluer de sel and all that is wrapped in delicious dark chocolate. It's amaaaazing! Lucky Guy Bakery Nutty Brownie- Walnut halves with dark chocolate. This is a nice squishy brownie but I don't like walnuts in my desserts. I bet it's good, though. 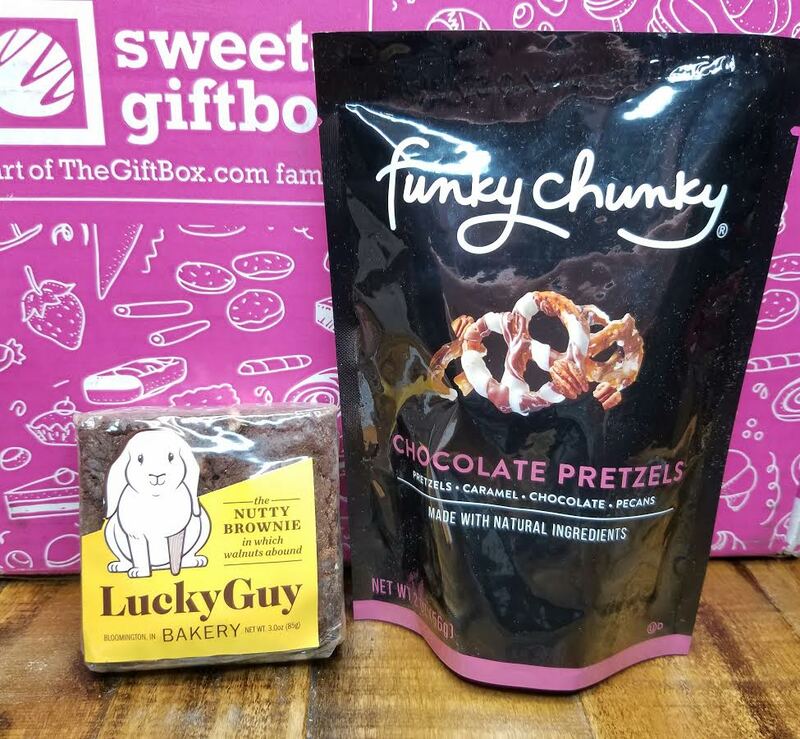 Funky Munkey Chocolate Caramel Pretzels- This subscription is a little too new to be repeating brands but there's no denying that these pretzels are delicious. 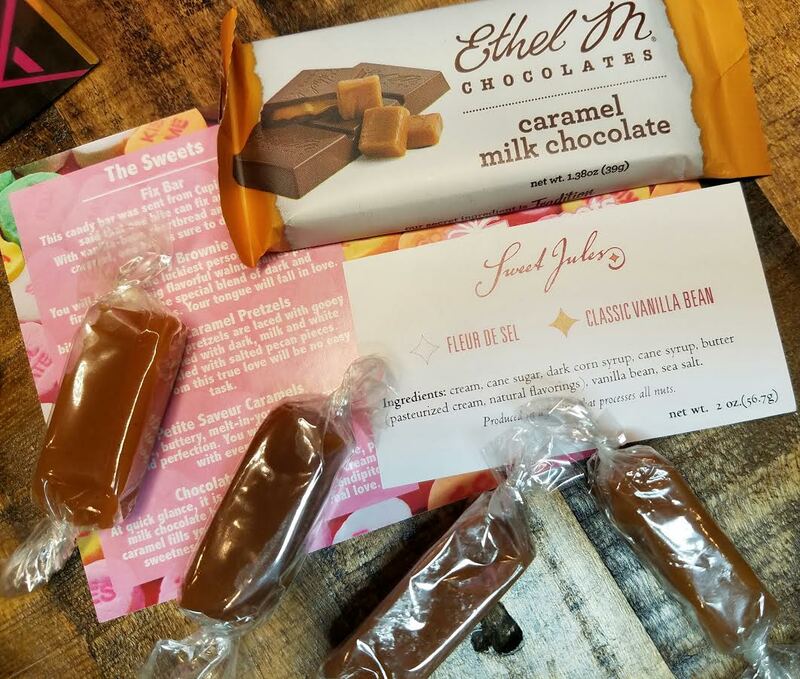 Ethel M Chocolate Caramel Bar- Four small bars of caramel filled chocolate. Sweet Jules Petite Saveur Caramels- Soft, buttery vanilla bean caramels with sea salt. These were very good. VERDICT: I love getting sweet treats delivered to my house but I think this box needs to re-examine it's price point. I'd also like to see more careful packaging, perhaps a smaller box. Things tend to just be thrown in the box which is no fun. Especially if you want to gift it. Still, it's new and there's time to grow. Hopefully as this subscription matures, either the price will come down, the product quantity and quality will go up and the packaging will become more giftable. 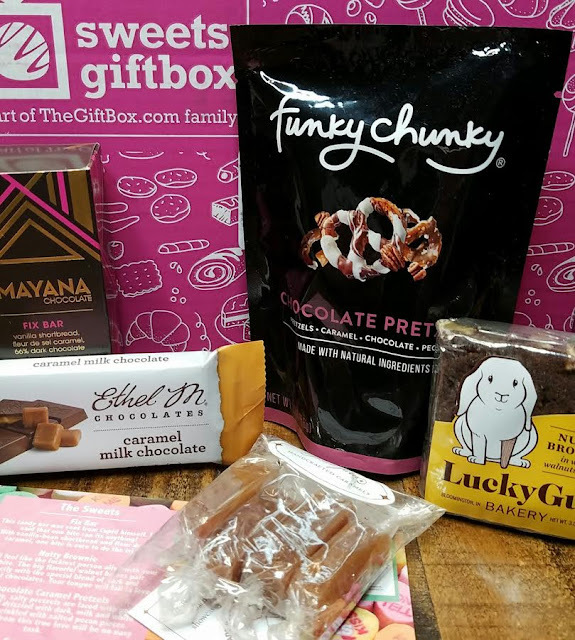 If you'd like to try this box, you can sign up here. Make sure to use coupon code BITSANDBOXES for 50% off! That code works for all boxes under the TheGiftBox umbrella so take your pick! *this box was sent complimentary for review purposes. all opinions are mine. affiliate link was used in this post.